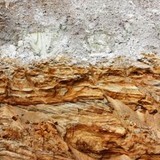 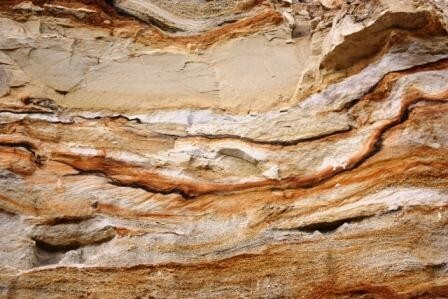 The vertical walls of the active sand pit are a visual example of the stratigraphy of the Cheb Basin and of the method of deposition of layers. 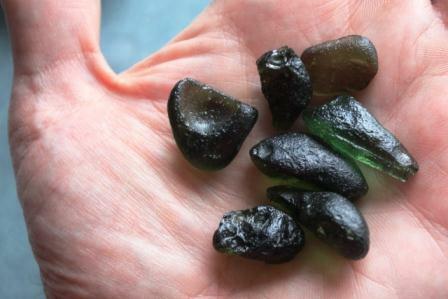 During the last decade, the sand pit became known for finds of moldavite, a natural glass of mysterious origin and great scientific importance. 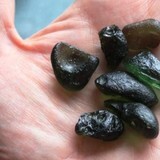 Moldavites are probably solidified melt droplets ejected 14.6 million years ago during the meteorite impact at the present Ries crater in southern Germany. 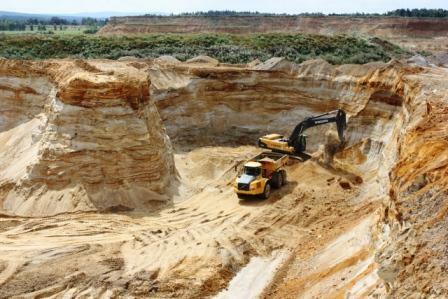 One of the moldavite fall fields should be in the area of ​​today Cheb basin, and to the current site should be washed by river flow. 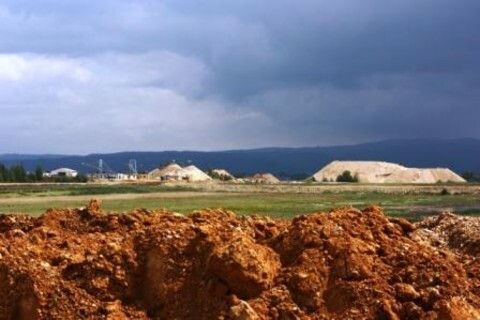 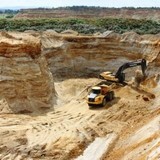 The Dřenice deposit is the largest exploited deposit of construction sand and gravel in the Cheb Basin. 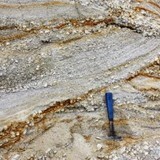 The mottled yellow, ochre and rust-coloured sand and sandy gravel with a characteristic cross-bedding formed in an environment of a flow-through lake and river-lake deltas. 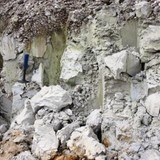 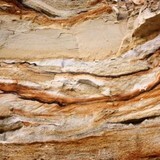 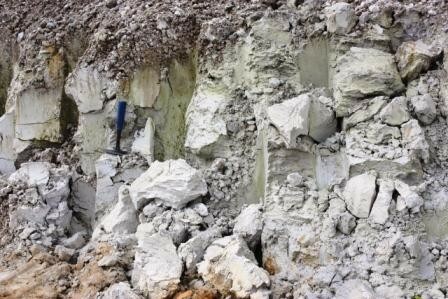 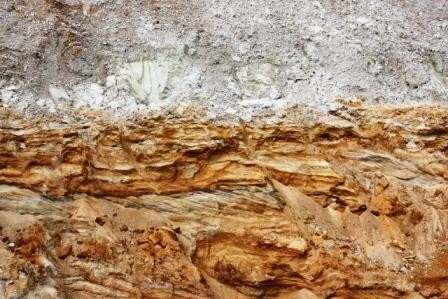 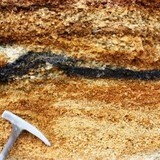 The slackening of sedimentation is reflected by numerous clay and silt bands. 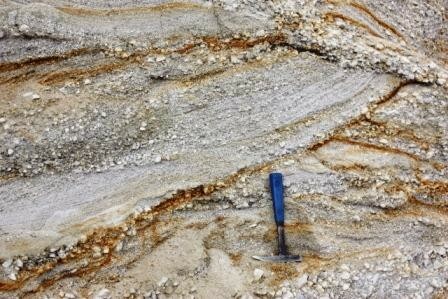 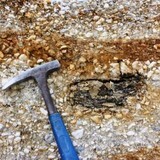 The formation at the locality has a thickness of 10-20 m.
The sand pit is the most important moldavite locality in the Cheb Basin. 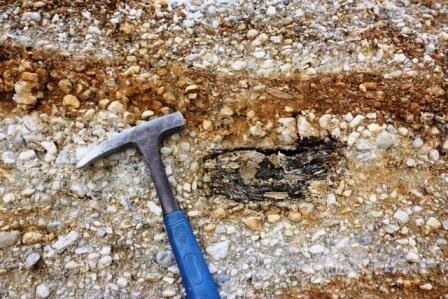 The first pieces were discovered in 1993 on the beaches of the Jesenice Reservoir. 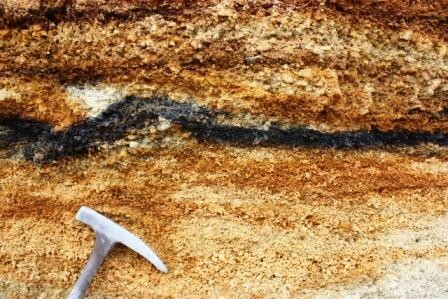 Despite the fact that since that time several thousand pieces were found at about 10 localities, they are still very rare.